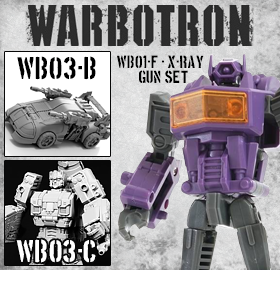 Toy Nippon: BBTS News: Diamond Select, DC, Gentle Giant, Halo, Marvel, Warbotron, TMNT, Transformers & More! 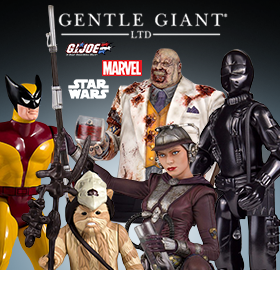 BBTS News: Diamond Select, DC, Gentle Giant, Halo, Marvel, Warbotron, TMNT, Transformers & More! WOW! There is something for everyone in this batch of new listings from Diamond Select Toys! Batman fans can grab the first ever Animated Series Batman bust or the 1966 Batgirl Premier Statue. 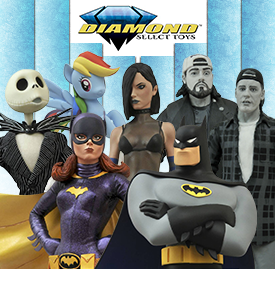 Jack, Sally, and Oogie Boogie are getting the “Select” treatment along with Randal and Silent Bob from the cult classic film Clerks. We have an MLP Rainbow Dash bank, a Ghostbusters Slimer Pizza Cutter, Ant-Man Minimates and more in this awesome list. 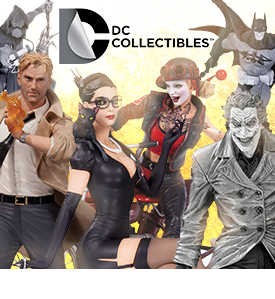 We have added 9 new listings across several lines from DC Collectibles. Add Red Lantern Bleez to your Cover Girls collection for $84.99; add class and sophistication to your Bombshells lineup with the feline fatale Catwoman for $99.99; tear up the asphalt with the crazed criminal Harley Quinn and her motorcycle for $299.99; and bring dark magic into your home with the stunning new Constantine statue for $99.99! Now’s your chance to get your hands on a whole bunch of Select figures, Minimates and other items you may have missed out on before! Minimates fans will find two different BTTF Future Deloreans, Deadpools Assemble box set, and the Hulk through the Ages box set in this list. If you want Select size figures, you’ll be happy to see Spider-Man, Black Cat, Hulk (Green & Red), Colossus, Daredevil, Doctor Doom and many others listed from $19.99 to $24.99! We even have a Venom Bottle Opener for $17.99 and the USS Enterprise NCC-1701-D for $89.99! Do not miss out on that item you have been searching for! 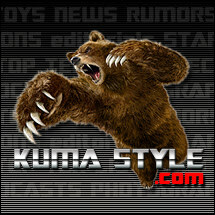 Hot Toys and Sideshow Collectibles are excited to announce the refreshed Cosbaby series with all new designs! This series will kick-start with characters from the eagerly awaited blockbuster release of Marvel's Avengers: Age of Ultron. Each Cosbaby stands approximately 3.75" tall and has a bobble-head. 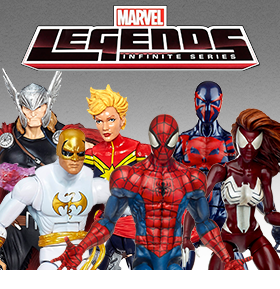 The lineup includes Captain America, Iron Man Mark XLIII, Thor, Iron Legion, and Ultron Sentry, for $15.99 each. All 5 figures are also in the set of 6 that includes an additional Ultron Sentry (Prime), which is only available in the set that is listed at $89.99. Based on his appearance in the 1988 game for the popular 8-bit home console, Godzilla stands over 6" tall and is nearly 12" long, with over 30 points of articulation (including bendable tail) and all new dorsal plates to match his in-game silhouette. Stylized paint deco reproduces the video game's pixilated look. The figure comes in special window box packaging inspired by the classic video game cartridge box. With his iconic purple bandanna and trusty Bo staff at the ready, this 12” tall Ikon Collectibles resin statue is ready to battle alongside his brothers for peace and justice. The Batman Black & White collection has expanded again with three new installments. Designer Carlos D’Anda, the concept artist of the Arkham Asylum video game has put his spin on the Dark Knight as well as his fearsome foe, Scarecrow. We also have the 2nd Edition Joker Statue designed by Lee Bermejo. Tweeterhead is excited to present the second release from the BATMAN Classic Collection: the Classic Batwoman Kathy Kane Maquette. First introduced as a love interest, Batwoman swung into comics in the 1950s. The Classic Batwoman statue is 13” tall and features a figure flattering black and yellow suit and a Gotham skyline base. Classic Batman fans-- don't miss your chance to own this glamorous crime fighter! 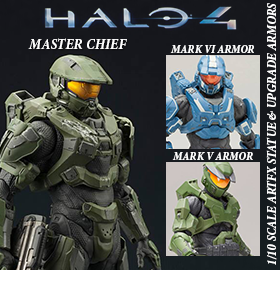 We have two new figures to add to the 7.5” scale collection by Dark Horse. Brienne of Tarth is an 8” tall figure that showcases her new suit of armor and Valyrian steel sword reforged from the legendary sword, Ice. The Hound (Sandor Clegane) is a savage and formidable fighter and this 8.5” figure reflects it with his signature helmet that is hinged so it opens and closes. The Art of War line of statues continues with this beautifully sculpted rendition of the Amazing Amazon based on the unique designs of renowned artist Jill Thompson! This striking beauty is just over 8” tall. “Rage. Bleez no longer knows freedom. Nor pain. But she will always know rage because hate creates hate, and that is true power”- Atrocitus The line of stunning statues inspired by the art of Stanley Lau continues with this masterfully sculpted statue of the rage-filled Red Lantern Bleez! She stands almost 12” tall to the tips of her bone wings, perched atop a fiery base. The London-bred conman John Constantine brings his brand of dark magic into your home with this stunning statue based on his appearances in DC Comics – The New 52! This 11” tall statue features John in his signature trench coat, wielding fire while standing on a base surrounded by undead arms and tentacles. This super deformed robot figure by Topeam transforms into a truck and trailer. He stands 5.5” tall in robot mode and is equipped with a heavy blaster. The Engineer General is a non-transforming jumbo sized figure that stands about 12” tall. He comes with two sets of hands, clenched and open, as well as a gun with an LED light up feature. “And shepherds we shall be, for Thee, my Lord, for Thee...” Everyone’s favorite Irish American vigilante brothers, Connor and Murphy MacManus can now be yours in both the stylized Pop! and the retro ReAction figures by Funko. "I joined S.H.I.E.L.D. to protect people." In the exciting film Captain America: The Winter Soldier by Marvel Studios, Captain America has joined S.H.I.E.L.D. 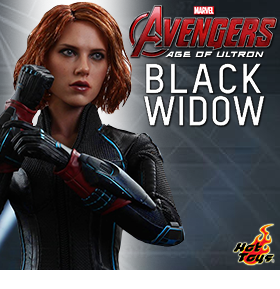 and teamed up with Black Widow and Falcon to battle dangerous threats. The movie-accurate collectible is specially crafted based on the image of Chris Evans as Captain America in his Stealth S.T.R.I.K.E. suit in the film. Featuring a newly developed helmeted head sculpt, finely tailored costume with embossed patterns, and a specially-made light blue metal shield. This unforgettable figure by Mezco features Walter as his alter ego of Heisenberg. He comes complete with removable hat, removable glasses, a sack of cash, and a bag of blue crystals. Relive the tense, edge of your seat excitement as Walter stares at you from inside his collector friendly clamshell package, daring you to make your move. Figure stands 6 inches tall. From One:12 Collective and Mezco comes The Dark Knight Batman 1:12 Scale Action Figure that is a must have for your Batman collection. Batman comes fully loaded with accessories including a pistol, grappling hook, alternate head, and removable utility belt. Display Batman on the Bat-symbol base with the articulated figure stand and detachable cape-posing stand accessory to achieve multiple action poses. Now you can own a Bobblehead version of Walter in his iconic yellow hazmat suit, sporting a freshly shaved head. He stands victoriously on the translucent blue crystals his empire was built on. Walter and base stand 6 inches tall and feature bobble action. Collect your favorite Big Hero 6 action figures inspired by the Disney movie and use their special powers to battle against the evil villain, Yokai to save San Fransokyo. The Set of 6 for $59.99 includes Armored and Unarmored Baymax, Hiro Hamada, Fred, Honey Lemon, and Yokai. We also have both Baymax figures and Hiro Hamada available individually for $11.99 each. Reenact the action-packed battles between Oliver Queen and Slade Wilson from Season Two of the hit CW Television series Arrow, with this intricately sculpted, highly poseable Deathstroke action figure. Deathstroke is just over 6” tall and is decked out in his signature armor and weapons. This transforming figure from Keith’s Fantasy Club stands just over 6” tall and features two small guns, a mini figure, and comes with an instruction book and bio card. These adorable little wind-up figures of the most beloved Disney/Pixar characters are the perfect addition to your desk or to display with the rest of your Disney collection. We have Woody and Alien from A Toy Story, Mike and Sulley from Monster’s Inc, Nemo, Flik, Lightning McQueen, Remy, Mr. Incredible, and Carl from Up all in stock. These stone resin figurines of the Disney Princesses capture the magic of each film with the folk art style and attention to detail that is unmistakably Jim Shore. He has incorporated the image of their castles into each gown in a way that brings it to life. We have Aurora, Ariel, Rapunzel, and Belle in stock for $47.99 each and you can preorder Elsa for $47.99. The supervillain obsessed and fascinated with nihilism and death now comes in the cute stylized 6” Super-Sized Pop! figure lineup. The Pop! Thanos will tower over the rest of your Pop! collection and rule it with an iron fist! This transformable figure from DX9 transforms from a 1980s Formula 1 race car to a robot that stands over 6” tall. This 8” tall premium sofubi vinyl version of the famous bounty hunter Greedo is a limited edition of only 2,000 pieces and comes individually numbered in a window box. In the HBO adaptation of Game of Thrones, we see Robb Stark plotting the movements of opposing armies using a map of Westeros, which is painted onto animal hide, and a set of sculpted Map Markers, each hewn into a representation of one of the House symbols. We have reproduced these items faithfully, in their true size, using the actual props as reference. The results are stunning, an heirloom item for Game of Thrones fans. We have Stark and Lannister Map Markers in stock for $22.99 each. You can also get the map replica and a complete set of Map Markers for $149.99. This life-size, role-play accessory lets fans wear the signature weapon of the heroic Edward Kenway from the blockbuster Assassin’s Creed IV: Black Flag video game. The Hidden Blade Gauntlet features a spring-loaded, retractable blade, with switchblade-style action. The gauntlet includes a bonus skull-shaped buckle pin. The last person to be known as “The He-Man” before Prince Adam was born was Oo-Larr, Lord of the Jungle Tribe. He was charged with protecting the two halves of the Power Sword of He and bravely fought to protect the secret of the sword and defend Grayskull. Oo-Larr comes packaged with his spear. Bruce Wayne passes down more than just his approval when Terry McGinnis assumes the role of Batman… he also passes down his genes. This deluxe 6” figure comes with three heads (Terry McGinnis mask off, mask on, and old Bruce Wayne from the pilot episode of the animated series, where he first wore this futuristic Batsuit). Also includes mask accessory, four Batarangs, three sets of interchangeable hands, a snap-on wing set, and a Micron mini figure, Batman's pal from the futuristic Justice League Unlimited!